Ever wonder what to do during the winter months to keep your golf game from hibernating? When it comes to golf, while it is important to work out your core body muscles and keep your golf muscles active, it is just as important to keep your mind active and sharp. There are a number of great golf books that will help keep your mind on golf and off of the cold winter weather. 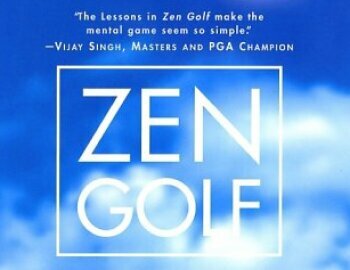 One of my favorite books to read during the cold winter evenings is “Zen Golf” by Dr. Joseph Parent. It has a unique approach to the game of golf and will get you thinking of ways to improve your mental game and even help you with your practice routine as well. Of course once you read the book you will want to put those ideas to the test so don’t forget that we have indoor hitting bays available to rent during these cold winter months. Space is limited so please call ahead to schedule a time.